There are lots of different events throughout the year in Abu Dhabi. It’s definitely worth planning a trip when there are some exciting events and celebrations taking place. The Abu Dhabi Grand Prix is held in November and attracts celebrities as well as thousands on Formula One fans. The Abu Dhabi Film Festival is usually held at the end of the October, it showcases films from the Emirates region. Yas Island hosts events and shows on a regular basis including Oktoberfest, Golf championships, music concerts and circus shows. Foodies won’t want to miss the Abu Dhabi Food Festival, which takes place in February. 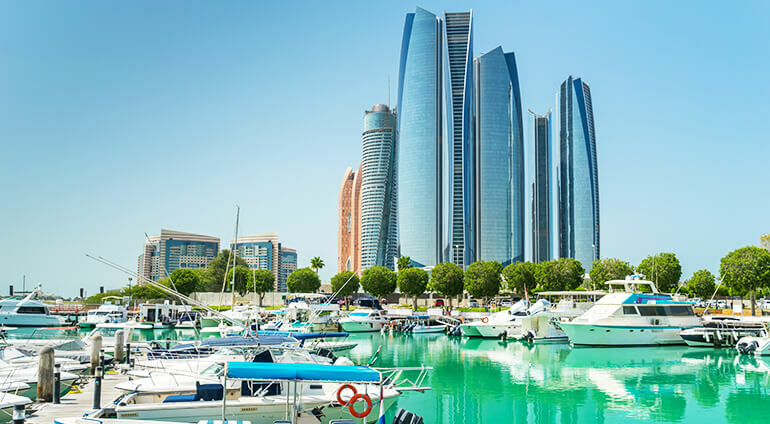 The Abu Dhabi Festival, held in March is one of the biggest festivals in the Middle East.